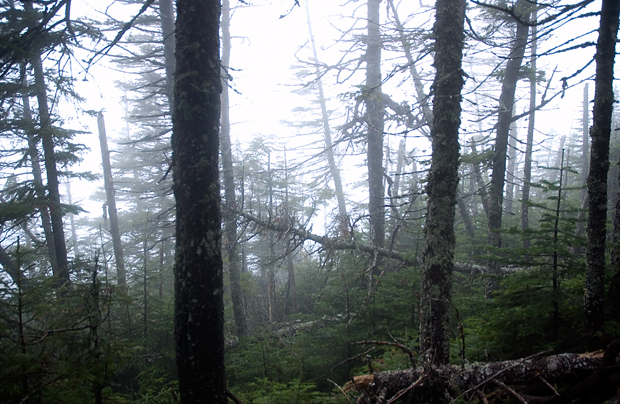 I enter the dense vegetation of Maine's Highlands via a black slab paved through misty morning trees. Crows, osprey, eagles, scavengers, hawk patrol this path hoping for road kill; that's a set table for them. I beep my horn at a black bird as it flies along side me. It smiles. It knows I'm a scavenger too. Collecting photos and experiences is the feast I look for, like meat spread across my table, or road. 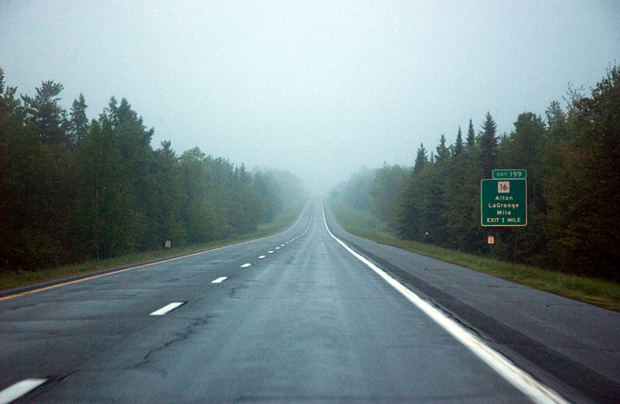 The further north I head the more the highway narrows. Two lanes, one lane, then a path. I am an animal walking up it. Up the path my belongings now hanging from me, dragging in the brush, dragging through, attached to me - occasionally falling off. 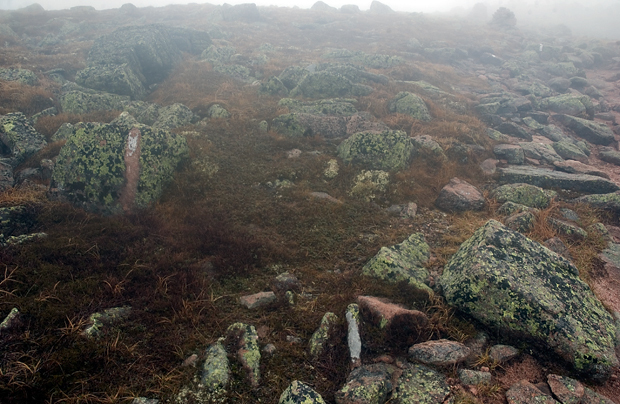 Vegetation above the altitude of tree growth consists of low-lying bushes, lichen, and moss and liverworts. There is also hearty grass and beautiful small flowers. 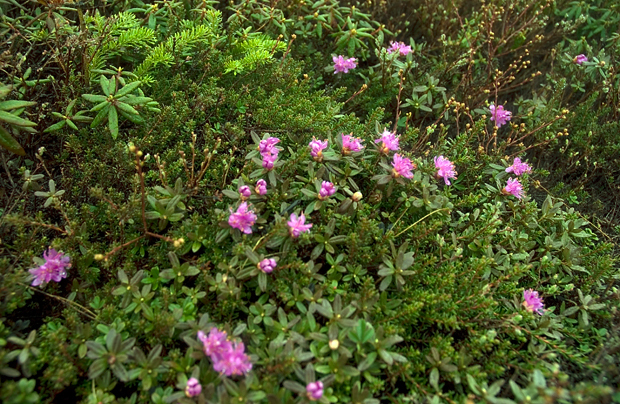 Here are some alpine azaleas. Awesome. 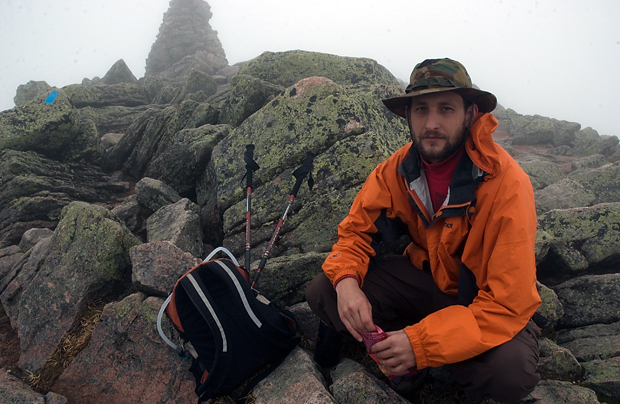 This is Jamie on his first Katahdin climb of the year. 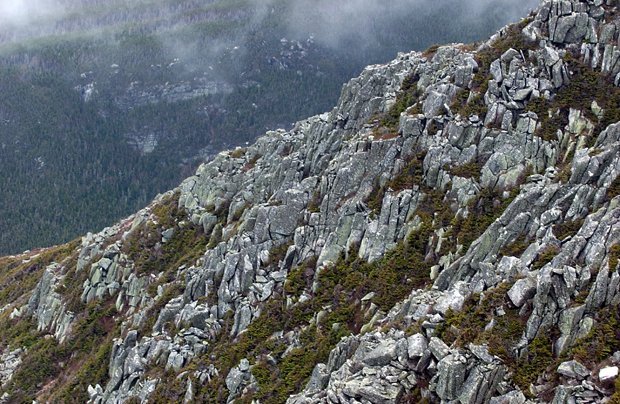 He climbed this massive pile of rocks 13 times last year. 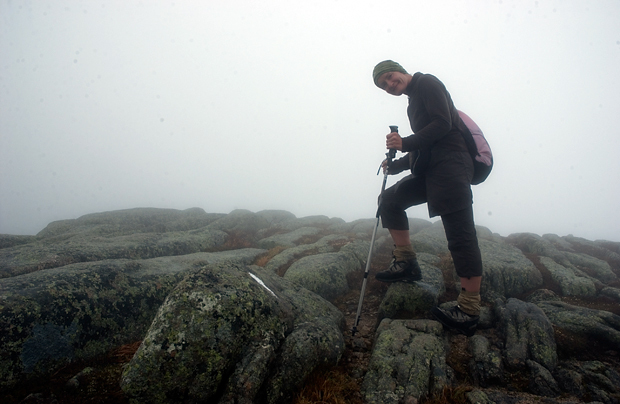 This Bavarian woman's trail name is Alpine Strider. 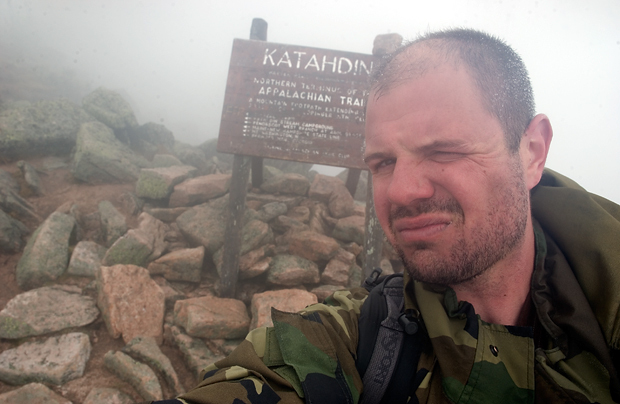 This was her first day heading south on the Appalachian Trail. She did the complete trail south to north last year. 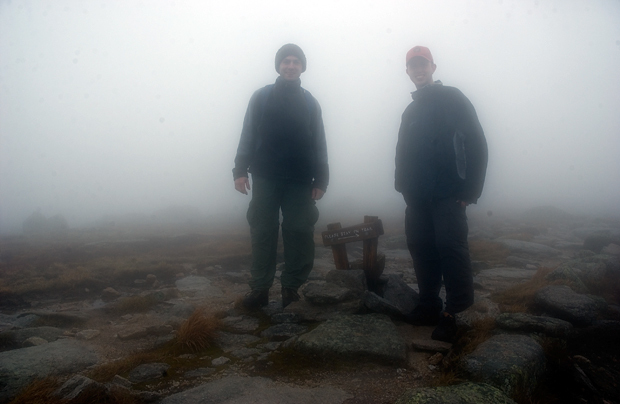 Two alumni of the University of Maryland, from Washington, D.C., begin their journey south on the Appalachian Trail. Their trail names are Doctor Funk and Fist Pump. Jamie is already on his way down and I've still got about a mile to the peak. 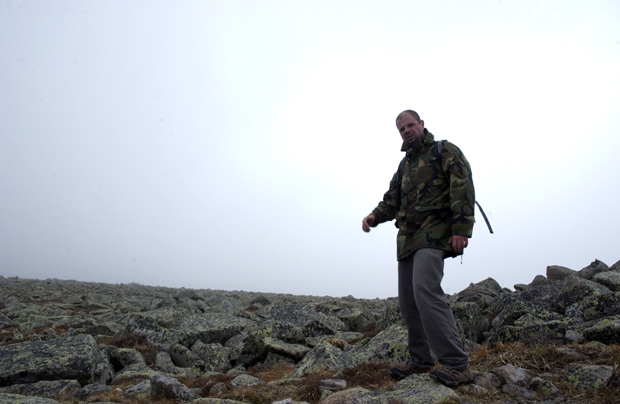 The Hunt Trail is classified as strenuous but is well worth it. 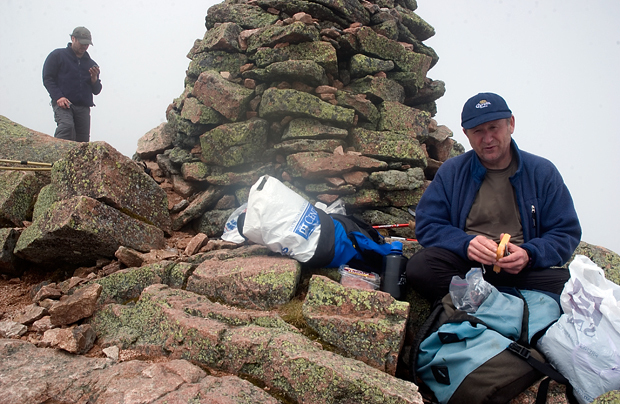 I am told by Jamie that the rangers usually give worse case weather scenarios to hikers and climbers. Today's forecast was possible thunderstorms and hail in the afternoon. 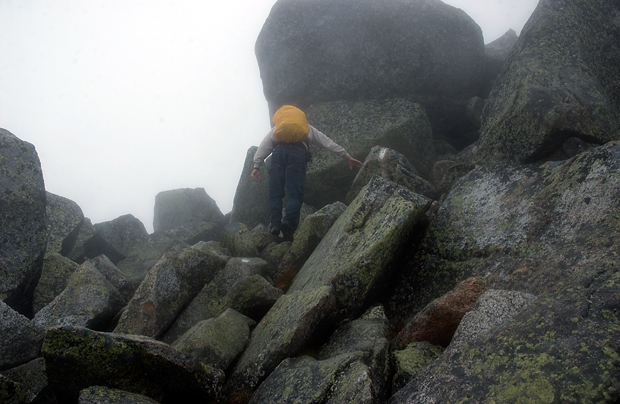 The wet weather really made it feel like you were climbing to another planet. 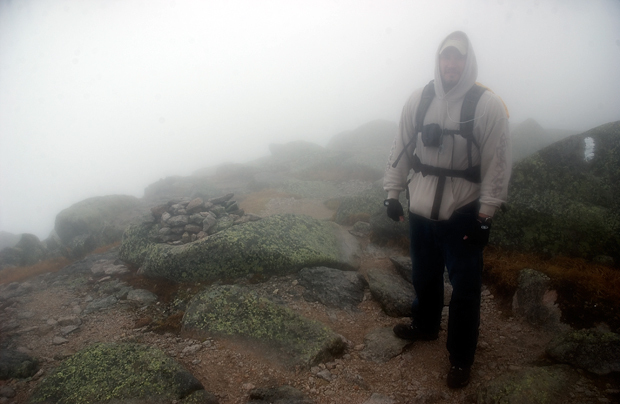 I have arrived at the 5,267 ft. Baxter Peak. It was raining, or something similar. Water was just beading up on everything. I was inside of a rain cloud. Not getting rained on, but walking through the droplets. 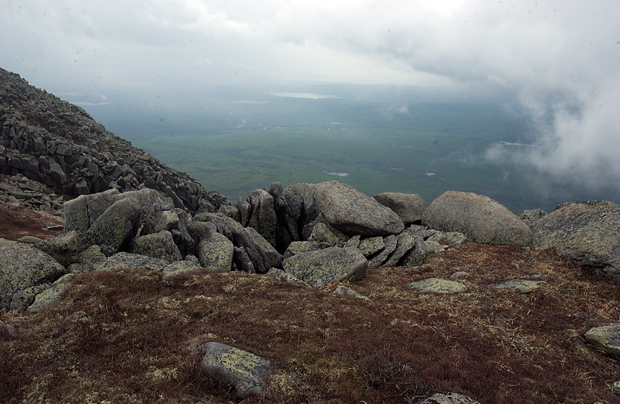 The highest cairn or rock pile in Maine. 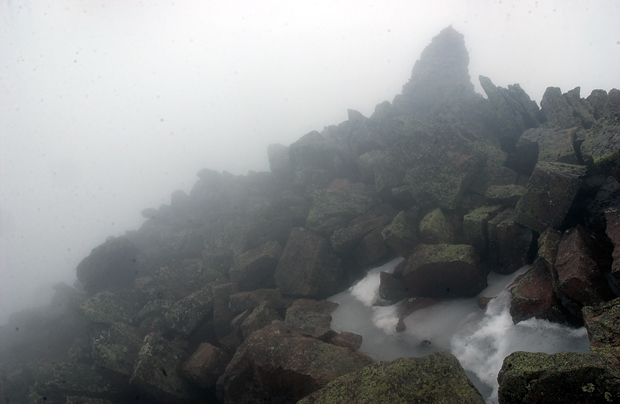 Cairns are mostly used in above-tree line climbing and hiking to mark the trail. I ate lunch with some Canadians from around Montreal, Eric and Felix. They were in town (Bangor, Maine I think) for a real estate convention. Last year the convention was in Seattle so they climbed Mt. Rainier. Another Eric was a flightline technician in the Navy. He now attends the School of the Art Institute of Chicago and is producing work and hiking the Appalachian Trail for credits. Set my camera on a rock an took this picture of myself on another planet. As the clouds disappear I remember I am afraid of heights, but more afraid of being a wuss. 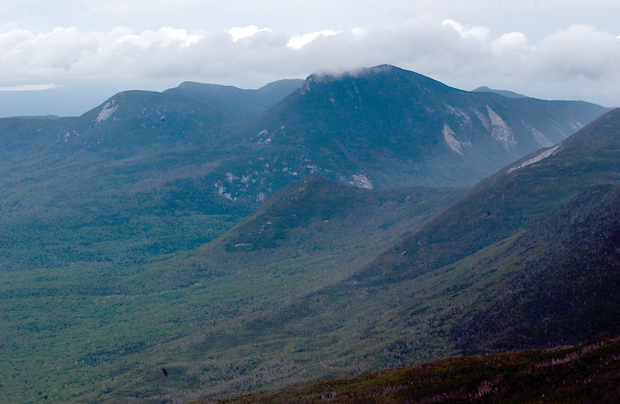 Looking west towards Barren Mountain. 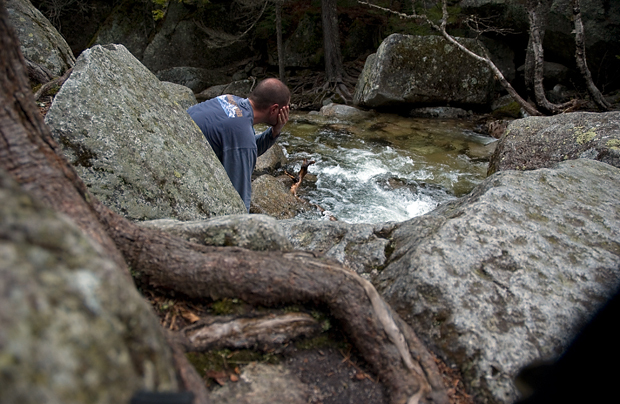 Splashing my face with the cool clear water of Katahdin Stream. 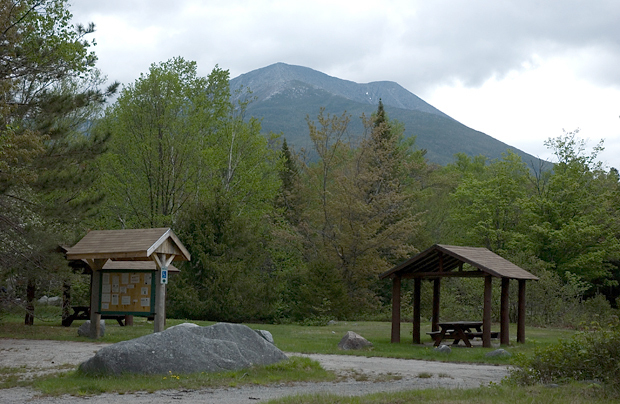 Mount Katahdin from the Katahdin Stream trail head. The mountain was not visible, covered by clouds when I started 10.4 miles ago.